This article has been updated to reflect the holiday schedule for 2018. If you still haven’t had a chance to go see Christmas lights this year in Oregon, we have just the place for you to get in the spirit for the holidays. This classic Christmas Parade goes clear back to 1954, and started with only one decorated sailboat gliding down the river. In the years following, more and more ships began to join the parade, becoming increasingly popular and magical over the years. 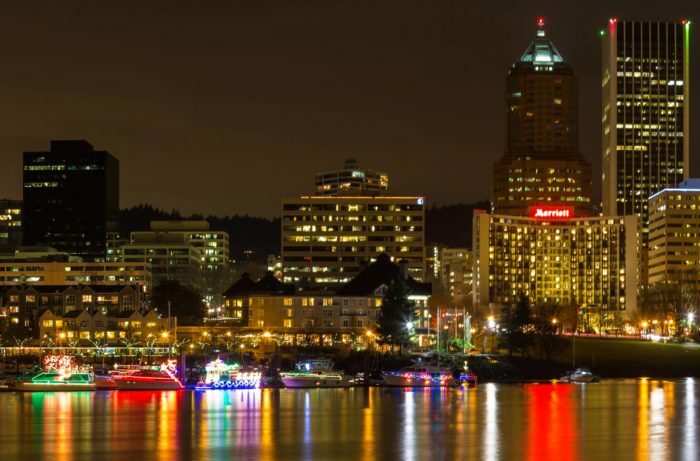 If you plan on going to Portland to see the event, you can make reservations at one of the great places to eat at any restaurants on the river, or even book a hotel room overlooking the water. 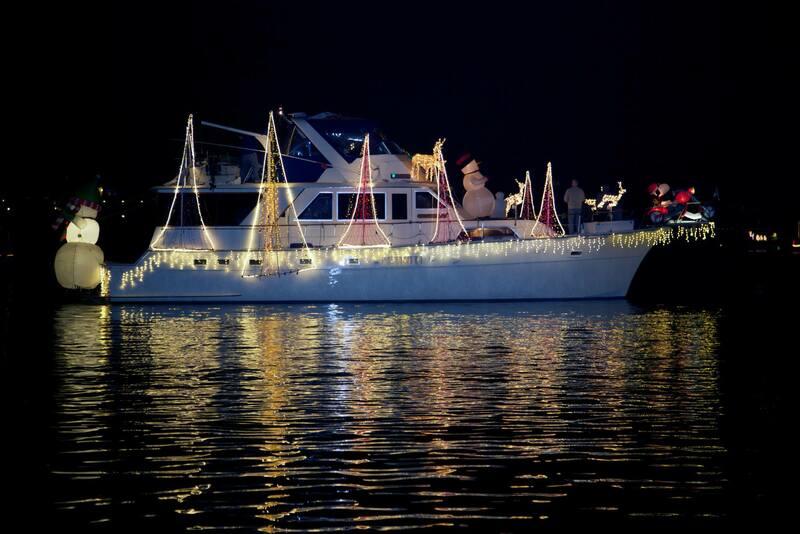 Salty’s On The Columbia is a great place not only to eat but offers great views of the Christmas Ships Parade. 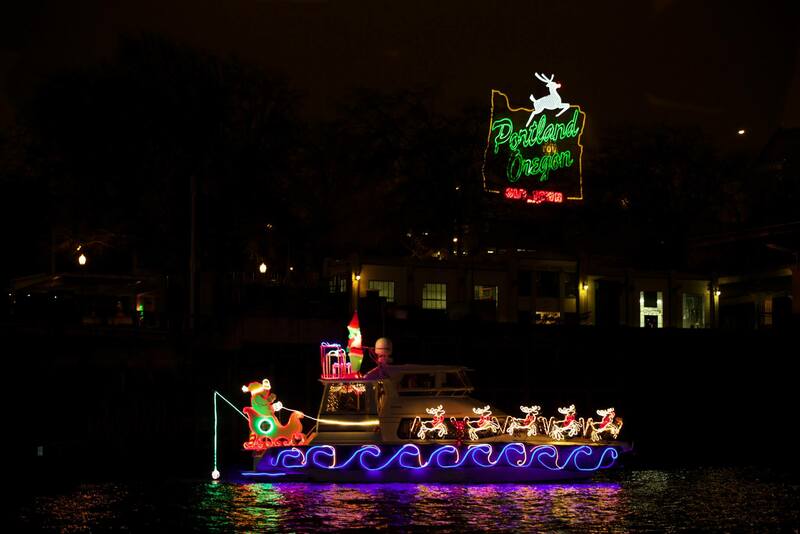 You could also take a cruise on the Portland Spirit and book your ride on the Willamette Shore Trolley’s Christmas Ships excursion. If you aren’t looking to spend a lot, you can just as easily bundle up with friends and family and watch from the waterfront! The parade starts November 30 in 2018, and will go all the way through to the 20th of December. 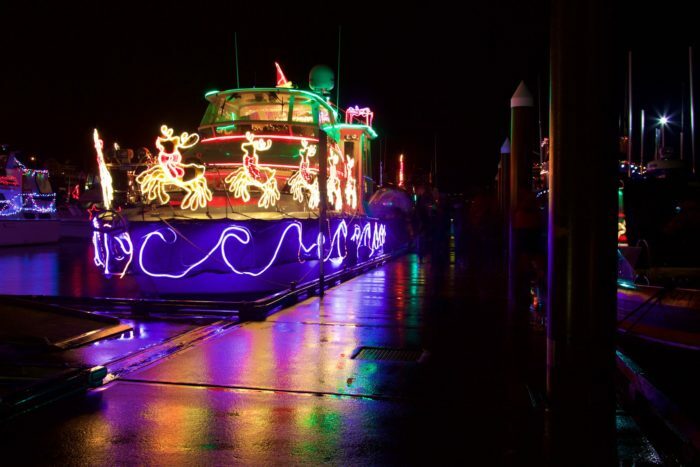 For a detailed route description and a list of places to see the Christmas Ships in Portland, Hit the link here. You can also check via Twitter or Facebook for updates to the route. The Christmas Ships will be hosting two “Meet & Greet” events this year: Saturday, December 15. See the following for details: Dec 15 Meet & Greet. Before heading out, make sure to check weather conditions to make sure the parade has not been postponed or canceled on certain nights! 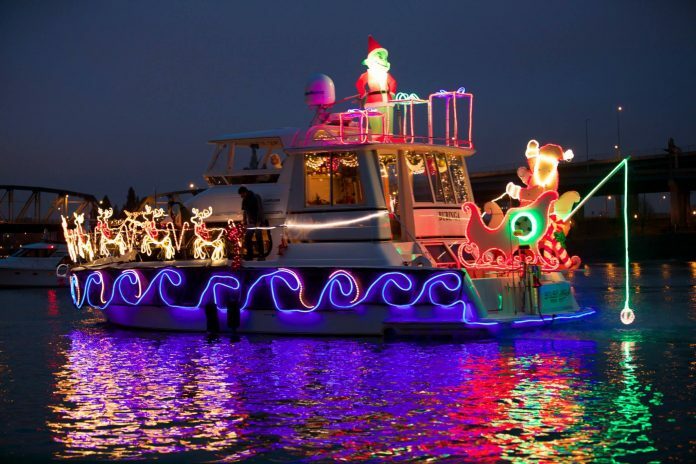 Learn about other great places to see Christmas lights this year in Oregon here.